As the Government of Canada's national housing agency, Canada Mortgage and Housing Corporation (CMHC), plays a major role in Canada's housing industry. The agency offers numerous housing services including research services, market evaluations, and access to affordable financing choices. Programs include aboriginal housing, residential rehabilitation assistance, home adaptation for seniors independence, public and private partnerships and numerous grants and awards. For many people, especially first time home buyers, saving the necessary down payment is a challenge. Additionally, with less than 25% of the purchase price to put down, a lender requires mortgage insurance for protection against any payment defaults. CMHC makes it easier for Canadians to obtain a home, by providing mortgage loan insurance. By providing this insurance, CMHC limits the lenders’ risk, allowing the lender to finance up to 95% of the purchase price of a new home. You can purchase a property with as little as 5% down. If the cost is $150,000, you only need a down payment of $7,500. You can become a homeowner, even if you don’t have a large down payment put aside. You just need to meet the following conditions and home ownership can be within your reach. You must be able to pay closing costs equal to at least 1.5% of the purchase price. The premium you will pay for your CMHC mortgage insurance is calculated as a percentage of the loan and is based on your down payment as a percentage of your home’s purchase price. Fees range from 0.5% to 3.75%; a .50% surcharge is added to the premium if multiple advances are required. You can pay this premium in a single lump sum, or it can be included in your monthly payments, along with the application fee. Note: A multiple advance may be necessary in a new home purchase or mortgage plus home improvement type loans. E.g. $100,000 for house, $10,000 for improvements. This calculation allows you to estimate the maximum debt load you can carry each month. The TDS should not be over 40% of your gross monthly household income. To calculate your monthly mortgage payments, consider the amount borrowed, the interest rate and the amortization. 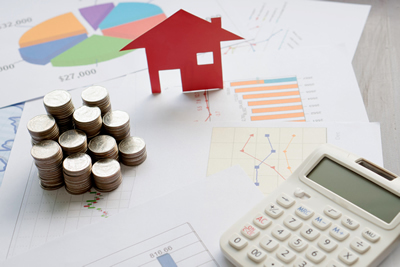 Use our handy mortgage calculator to calculate your monthly payments. ($90,000 mortgage, amortized for 25 years (5.67) ) @ 4.75% interest. This article compiled with information obtained from CMHC. This information contained in this article is believed to be accurate, but not warranted to be so.